Yoga straps are a great tool for yogis of all levels to improve flexibility. They are used to basically extend your arms to reach your furthest point of flexibility. They typically cost around $10 but I actually found mine on clearance at TJ Maxx for only $3! I’ve been using it in my yoga practice for a few weeks and I’m already loving the benefits, especially with the shoulder opening poses. Here a ways to use a yoga strap to improve your flexibility. Secure the strap around your feet and reach your hands down the strap as far as you can into bow pose and keep inching your hands a little closer to your feet as much as you can. This could also be done one foot at a time like in the photo below. You can also use the strap to open your shoulders by standing in dancers pose and gripping the strap with both hands as close as you can reach to the end secured around your foot. Can you touch your hands together in Cow Face Pose? If you can’t a yoga strap can help you get there! Just grasp the strap with both hands and inch them as close to each other as you can. The strap can also be used to assist with standing poses for example Extended Hand To Big Toe. The strap helps with balance which makes it easier to improve your alignment and be able to hold the pose longer. If you have trouble reaching your toes, you can use a yoga strap to help you go a little deeper by securing it around your feet and reaching as far as you can on the strap with a straight spine. Take your binds to the next level by grasping the strap in one hand as you begin the bind and then grab the strap with your other hand and inch your hands closer together as much as you can. It’s important to always respect your body and the stages you are out in your practice. So pick up a yoga strap ASAP to start taking your flexibility to a new level in a safe and effective way. Workout Wednesday: Killer CrossFit Workout! After taking over a year off from CrossFit because of a car accident I am finally getting back into it again! It’s only been three days of CrossFit workouts and I feel like my body has been hit by a train. I definitely forgot how hard CrossFit actually is. But the challenging nature of CrossFit is exactly why I’m drawn to it. Plus I love how the workouts are designed so if you ever do them again you can try to beat your previous time or score. Today’s workout was a wake up call because I wasn’t able to use the same weight that I used to use regularly before the accident for thrusters. 65 pounds seemed like no big deal a year and a half ago but today I had to respect my body and drop to 45 pounds. Wanting to always improve and lift heavier and beat times is a good thing but don’t forget to always be safe. If you can’t safely lift a weight then just drop to something that you can handle. It may be frustrating but it’s all about trusting the process, especially if you are coming back from an injury. Just keep working hard and staying consistent and the weight will come! As far as the weight use something challenging but light enough that you can complete each round. I used 45 pounds for the thrusters, 35 for kettlebell swings and 15 for wall balls. The harder the struggle, the more glorious the triumph. Never give up! Let me start by saying I compare myself to others just like you do. But it’s something I actually try not to do. 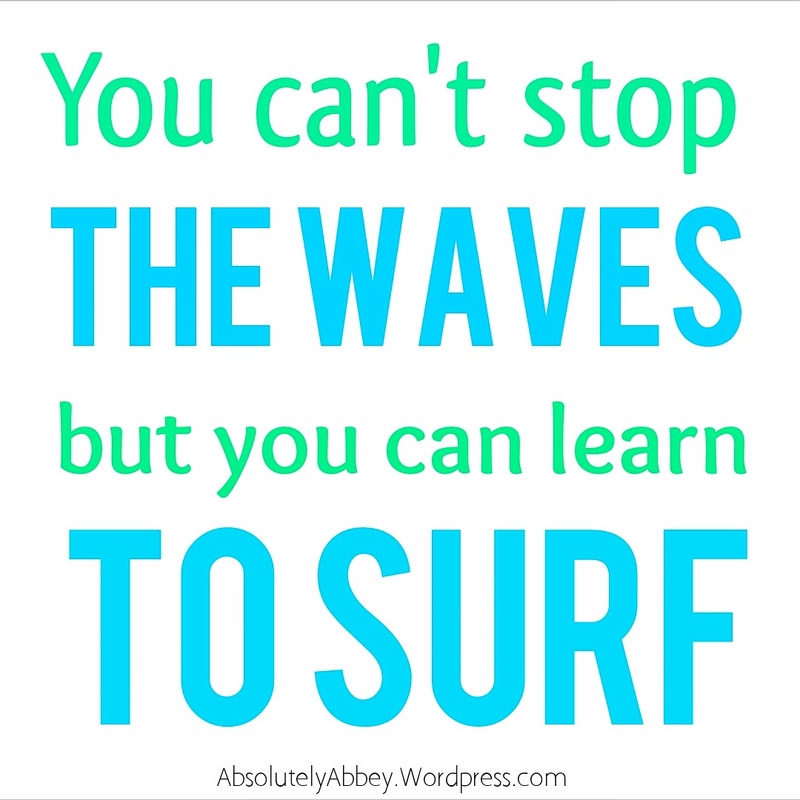 And when I catch myself doing it, this is what I try to remind myself. 2. Photoshop is very real. 3. I’m my own worst critic. Social media is great and I’m inspired every day by things I see people post online. But it can also do a lot of harm. Because more often than not people are only going to post the perfect picture, not the one that shows off their biggest physical insecurities. For example this photo below! I couldn’t wait to post this one because I thought I looked fit, strong and happy! I want to inspire my followers to work hard to be fit and healthy, so why not show them all the perfect shots? Until recently, I never really thought too much about how only showing my favorite photos could actually cause a negative feeling instead of a postive one. When you constantly see photos that feature only the best angles, perfect lighting and often times intense editing, especially in magazines, it’s easy to fall into that trap of beating yourself up and wishing you looked like someone else. I can promise you and would be willing to bet anything, that any Victoria’s Secret Model, professional athlete or World Champion body builder has something that they are insecure about. There is no way that they are completely satisfied being exactly how they are. And I’m not saying you should be completely satisfied. Working towards improving and making yourself better in all aspects of your life is a good thing. But beating yourself up for being exactly where you are right now is not. I saw an article by Women’s Health today talking about a new trend on social media called “Body Honesty” and it inspired me to finally be brave and make this post like I have been wanting to. Basically it’s about people sharing more than just the perfect photos. If people share more of the real stuff and less of the fake stuff, I think it could really make a difference. I don’t have 3% body fat. My thighs touch when I walk. I have rolls on my stomach and I have cellulite, just like 90% of other women. But you know what else I have? Confidence. And so can you. The comparing stops TODAY. Who’s with me? Before I get to my photos that I’ve been to embarrassed to share in the past, I first want to give a shout out to Aerie for starting the #AerieReal campaign and putting an end to retouching their photos. And to all of the women that have been brave enough to start something as powerful as #BodyHonesty and #BodyBeautiful, especially Shawn Johnson and Ashley Horner. But then one day she posted a photo sharing what her stomach looks like when it’s relaxed and when I saw this photo it gave me even more motivation to do this post! I’m not going to just talk the talk I’m going to walk it too. So here we go! All of these photos were take on the same day. And here is another example of two photos taken on the same day. In one my leg looks very smooth but in the other you can see that there is cellulite. This is my number one insecurity but it does not define me. It’s something that I know a ton of females struggle with and that’s why I’m sharing this. I know some people will look at these photos and think that they should never take fitness advice from me because I’m not “perfect.” I also know that these photos could and probably will make people mad, because to some people it wont even look like much. But the point is, to me it is a big deal! These are my insecurities. I think of myself as someone that has always been an above average athlete and it’s hard for me to accept that I don’t have a 6 pack all year round and virtually no body fat like I used to. Instead of being scared of what people think of me I’m going to just put my focus on being proud of how far I’ve come and using any negative thoughts as motivation. But I will not continue to compare myself to others. I am happy with just being me and working to be my best possible self. I have complete control over how I want to look and it’s in my hands and nobody elses. In addition to comparing myself to others, I’ve also definitely struggled with comparing myself to my younger self! Most of my life I was always skinny, infact way too skinny! 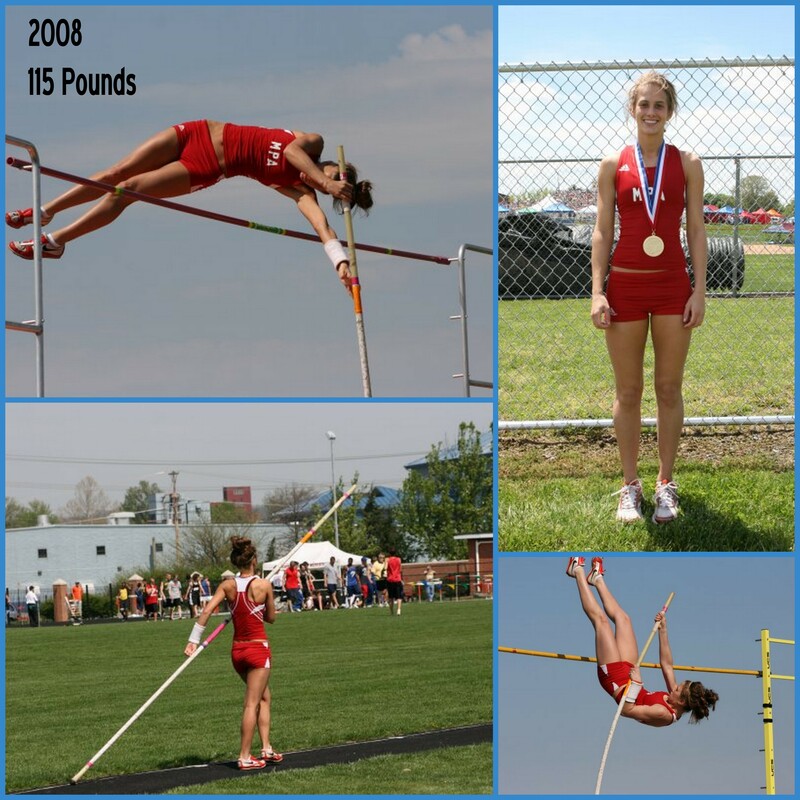 But I was young and an extremely active athlete with a great metabolism! Never in a million years did I think I would ever want to “tone up” or “be thinner.” In fact, I spent most of my high school years trying to gain weight! And then Hypothyroidism set in when I was 19 and my body was never the same. Instead of not being able to gain weight my body did a complete switch on me and now because of an underactive thyroid, I am more prone to gaining weight! But it really isn’t fair to compare my soon to be 26-year old self to my 17-year old self, hypothyroidism or not, it’s part of growing up and everyone goes through it. So here’s to accepting my body and all that it’s been through! Every mark and every wrinkle or dimple just represents life and we all have different journeys and obstacles. So next time you look at someone and judge them because of their appearance, remember that you don’t know their story and it’s not your decision to decide how they should look anyway. You don’t know why that person is so extremely skinny or maybe 40 pounds over weight or even 100 pounds over weight! And when you see the perfect models on magazine covers remember that it’s their best photo, with the best lighting and it’s airbrushed to look perfect. Part of being healthy is being happy and if we can’t be accepting of ourselves or eachother than we can never be fully happy and free! It’s your choice and your right to look and feel exactly how you want to. Never let society’s messed up standards make you feel like you aren’t good enough, because you are beautiful and you are perfectly you! For this full body workout all you need is a box or a bench and 21 minutes. When it comes to short workouts like this, it’s important to keep the intensity up so you get the most out of it. I like to do a circuit like this as a form of cardio instead of just running on a treadmill to keep things interesting! If you try it be sure to let me know what you think! 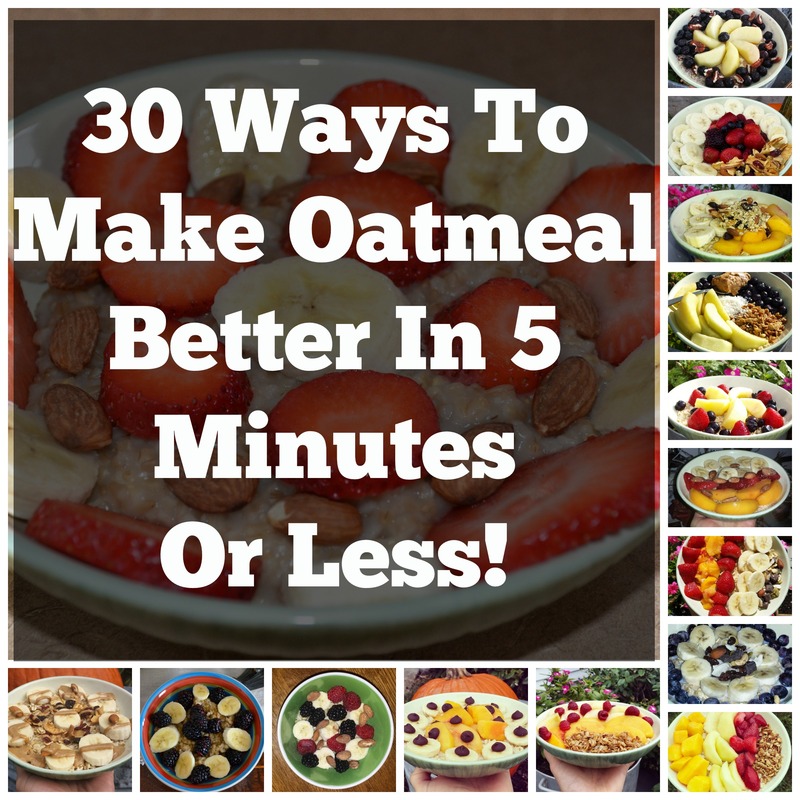 30 Ways To Make Oatmeal Exciting In 5 Minutes Or Less! 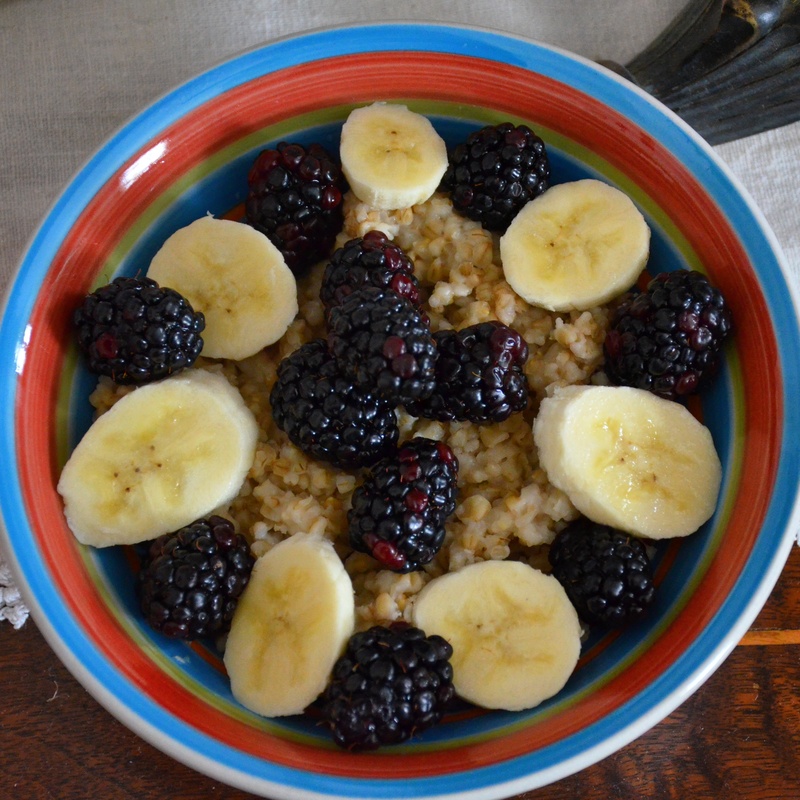 I start almost every morning with a hearty bowl of oatmeal because it takes less than five minutes to make, it’s full of fiber and it provides a natural energy kick in the morning. 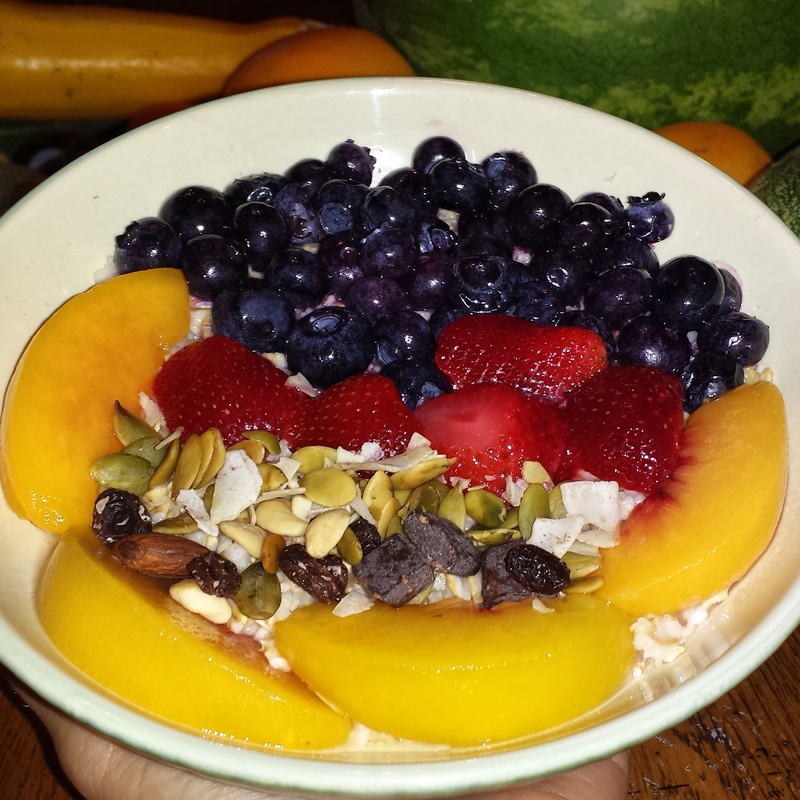 Oatmeal alone is a great option for a quick breakfast but it’s even better if you load it with fruit, nuts and other delicious toppings. 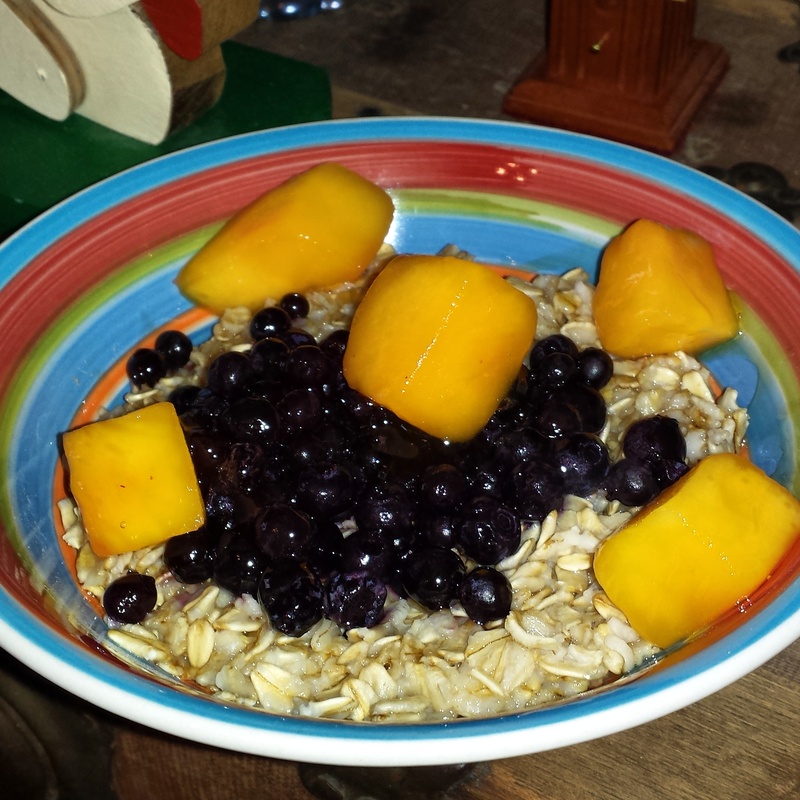 I use quick oats most of the time for convenience but I prefer the texture of steel cut oats if I have time to make it. Typically it takes about 20 minutes to cook steel cut oats on the stove so to save time I like to make about 6 cups of it for the week to store in the fridge. If you do this ahead of time I think it’s even more convenient to just microwave the cooked oats out of the fridge rather than making quick oats because you don’t have to worry about adding water. 1. 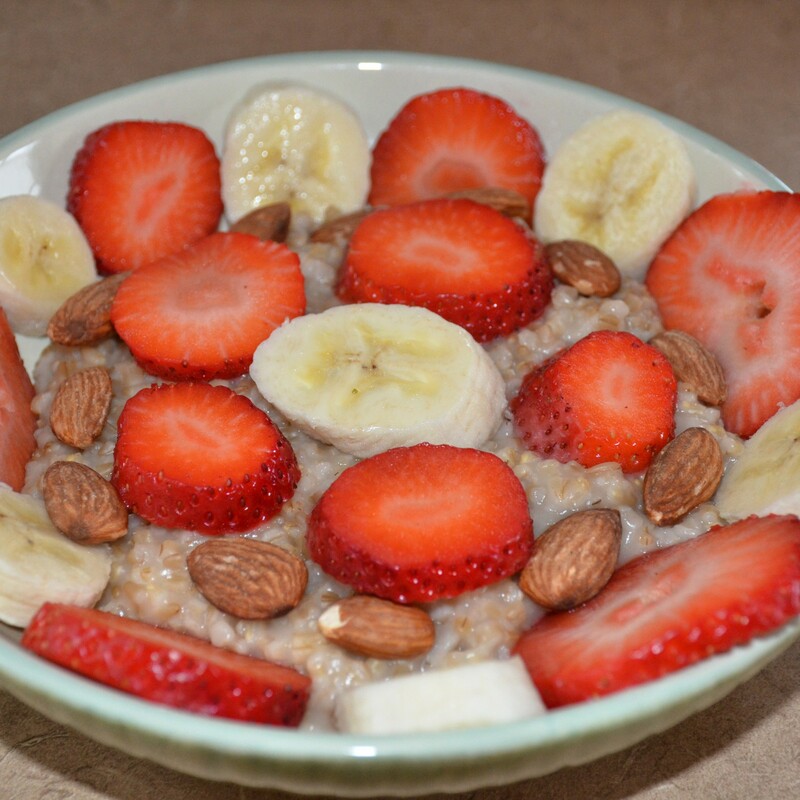 Oats, Bananas, Strawberries and Almonds. 2. 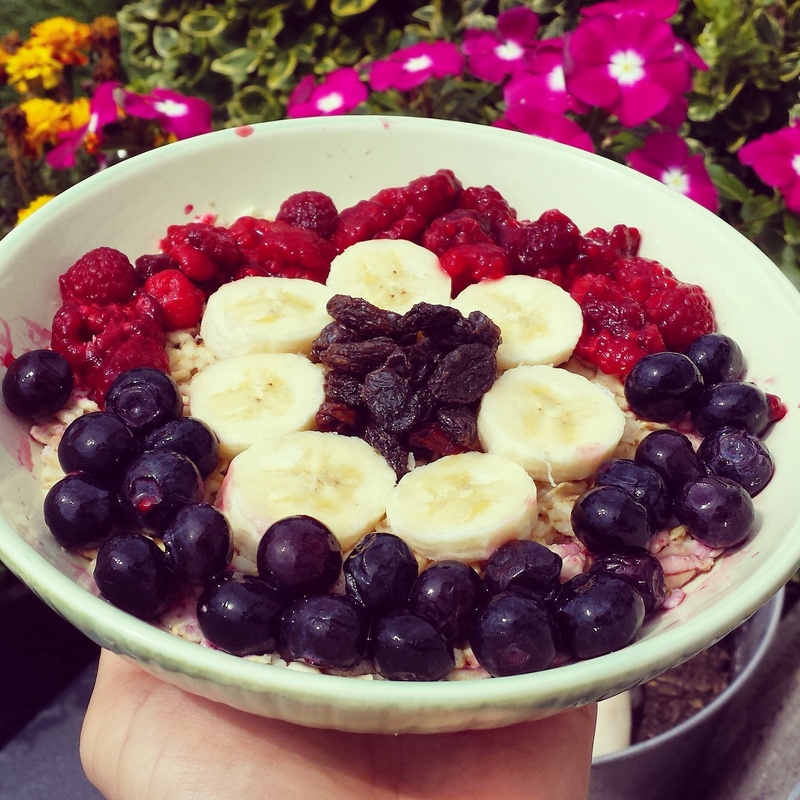 Oats, Almonds, Raspberries and Blackberries. 4. 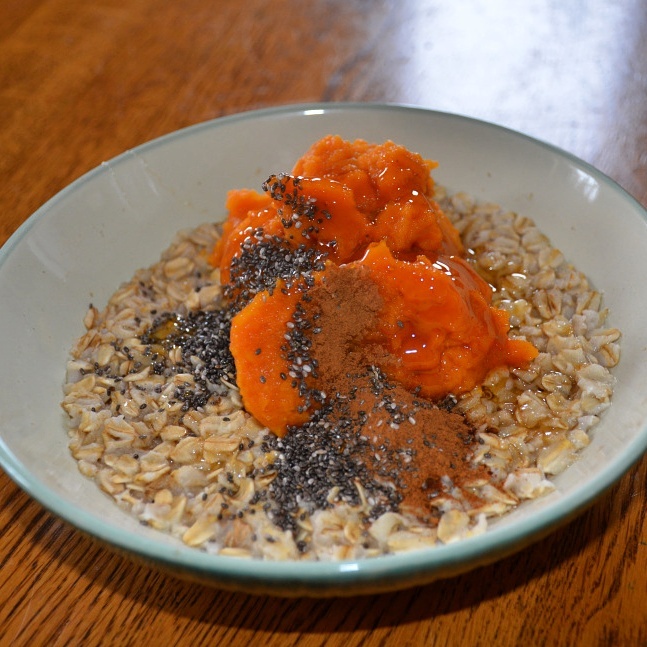 Pumpkin Puree, Cinnamon, Chia Seeds And Honey. 7. 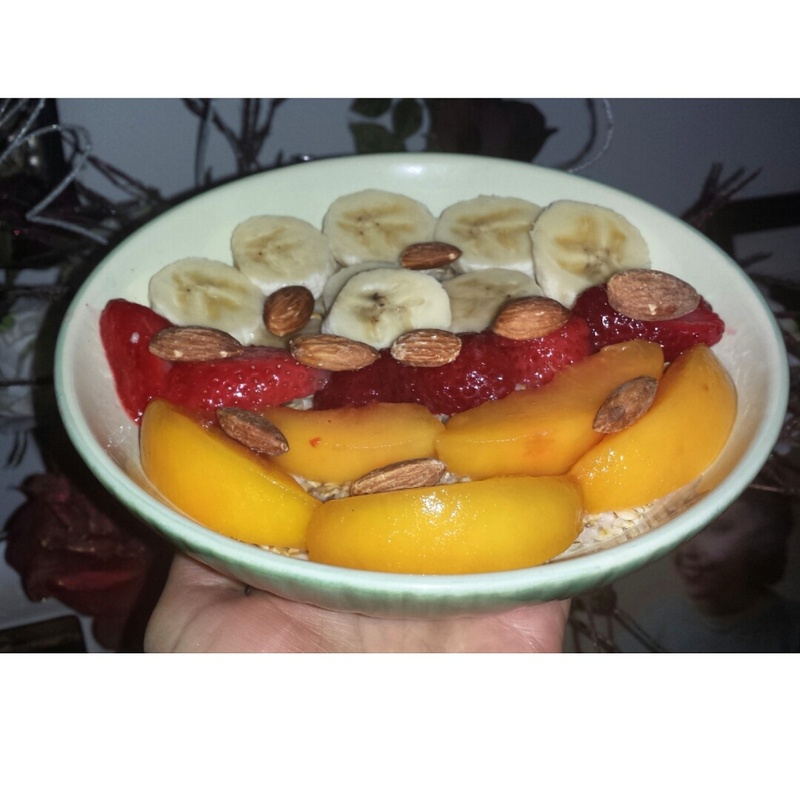 Peaches, Strawberries, Banana, and Almonds. 8. 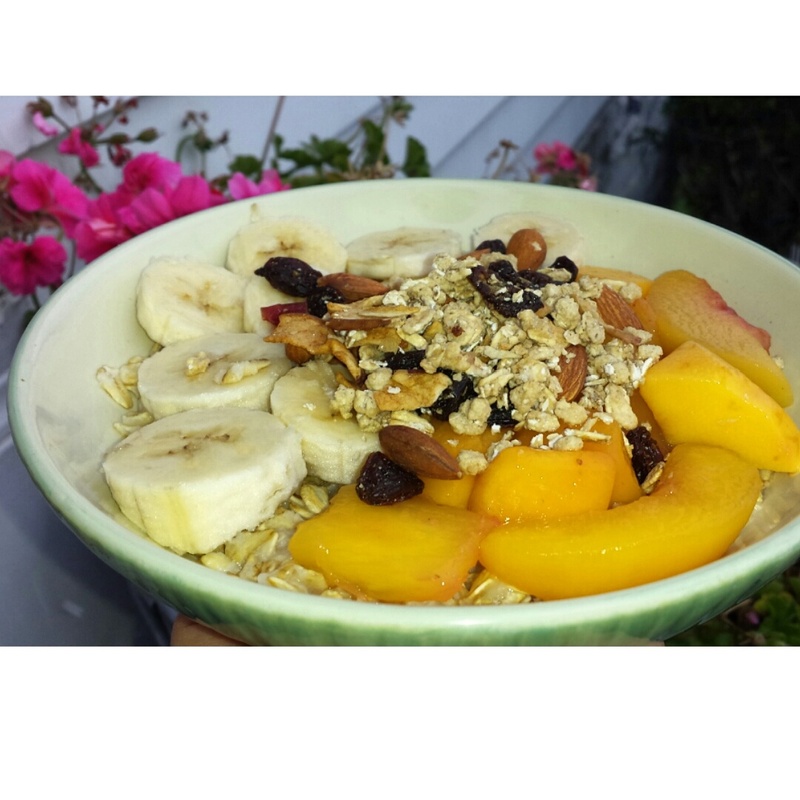 Banana, Peaches and Granola. 9. 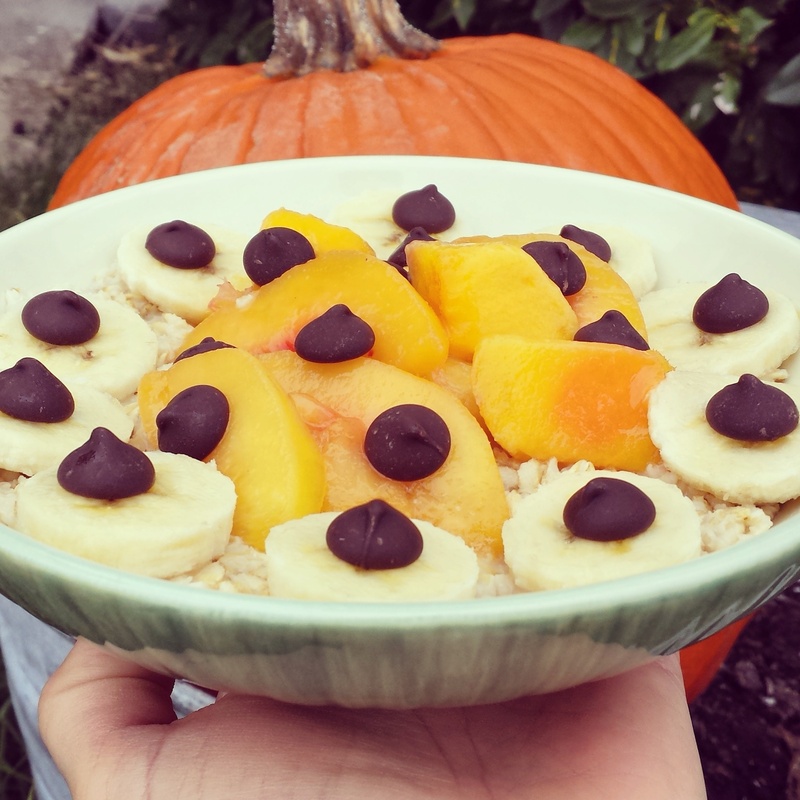 Peaches, Banana and Dark Chocolate Morsels. 10. 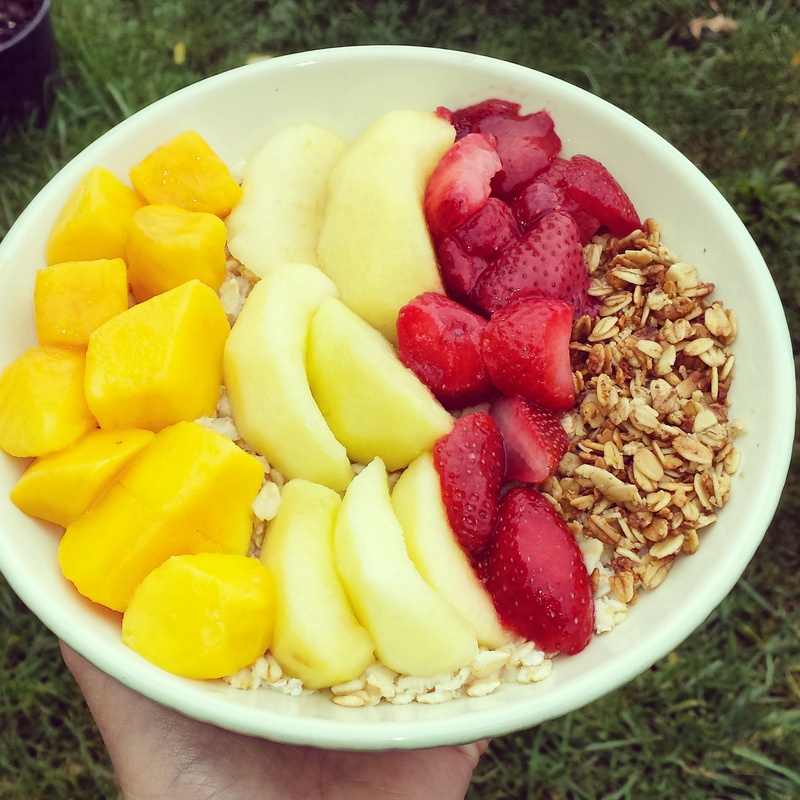 Mango, Apple, Strawberries and Granola. 11. 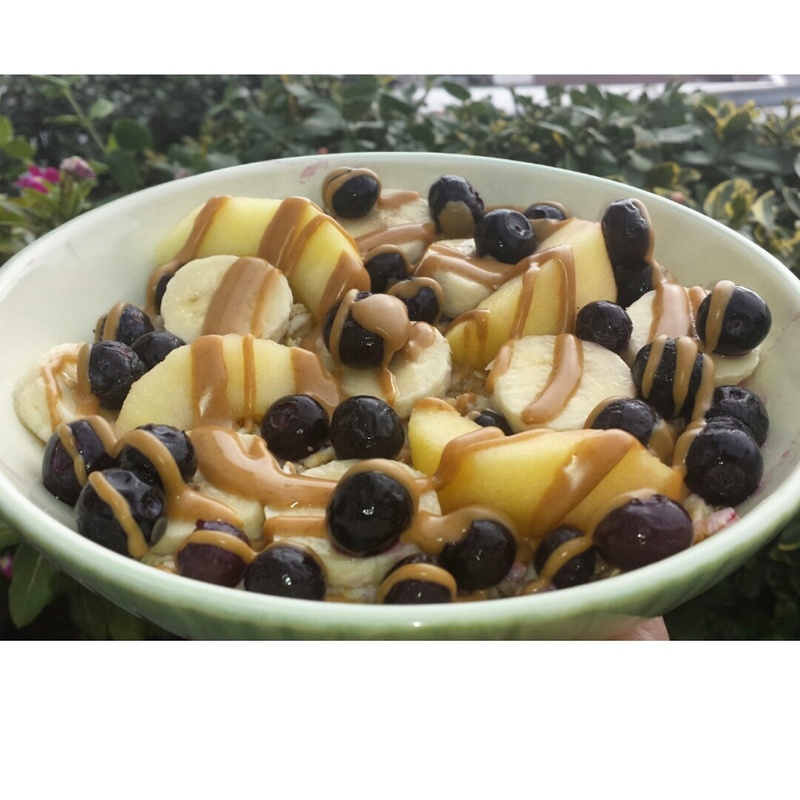 Apple, Blueberries, Peanut Butter and Banana. 12. 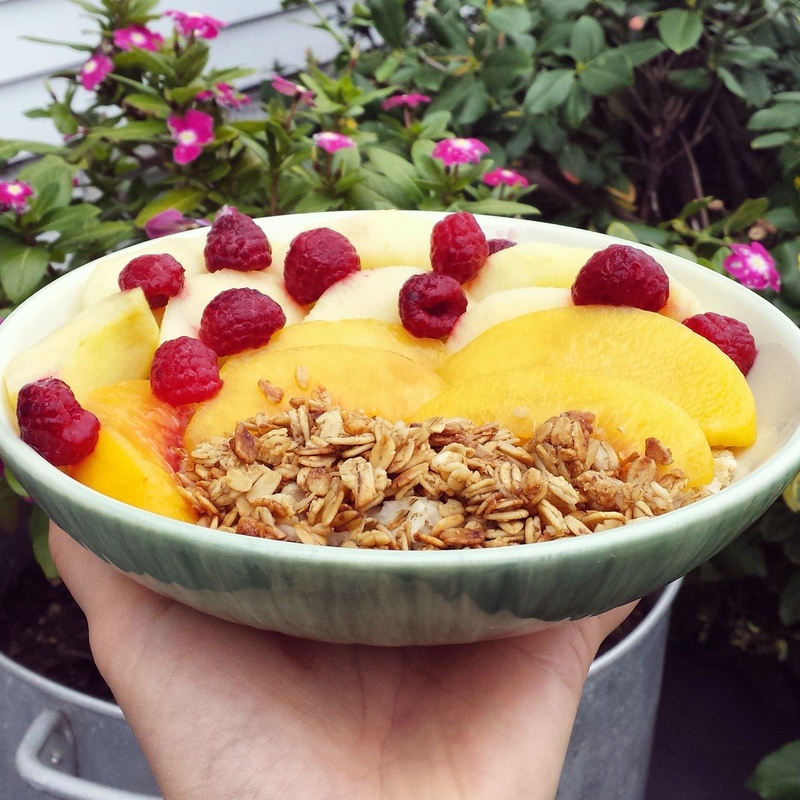 Raspberries, Peaches, Granola and Apple. 14. 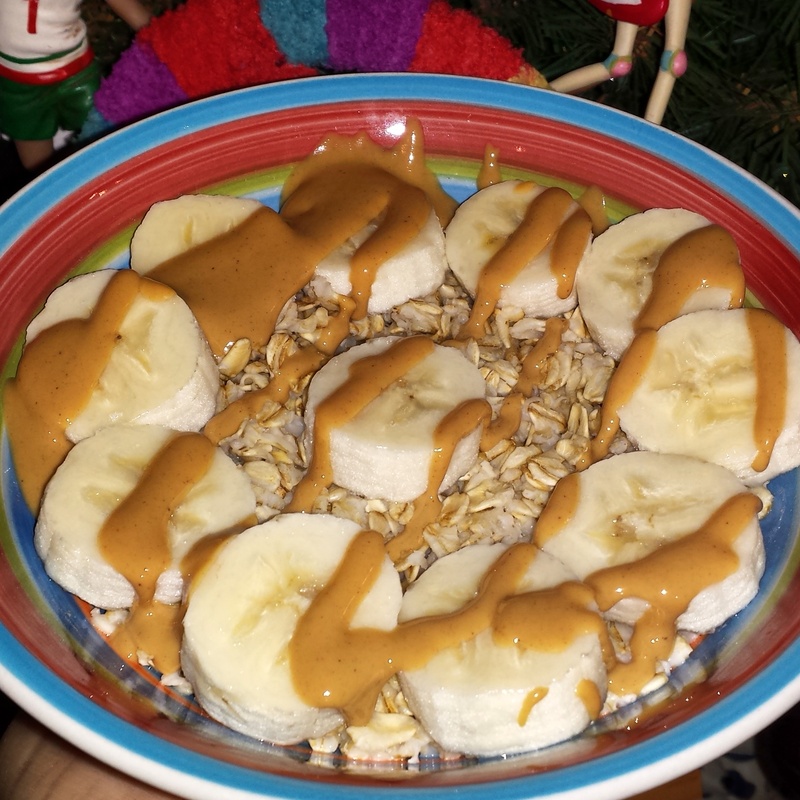 Banana, Peanut Butter, Almonds and Granola. 16. 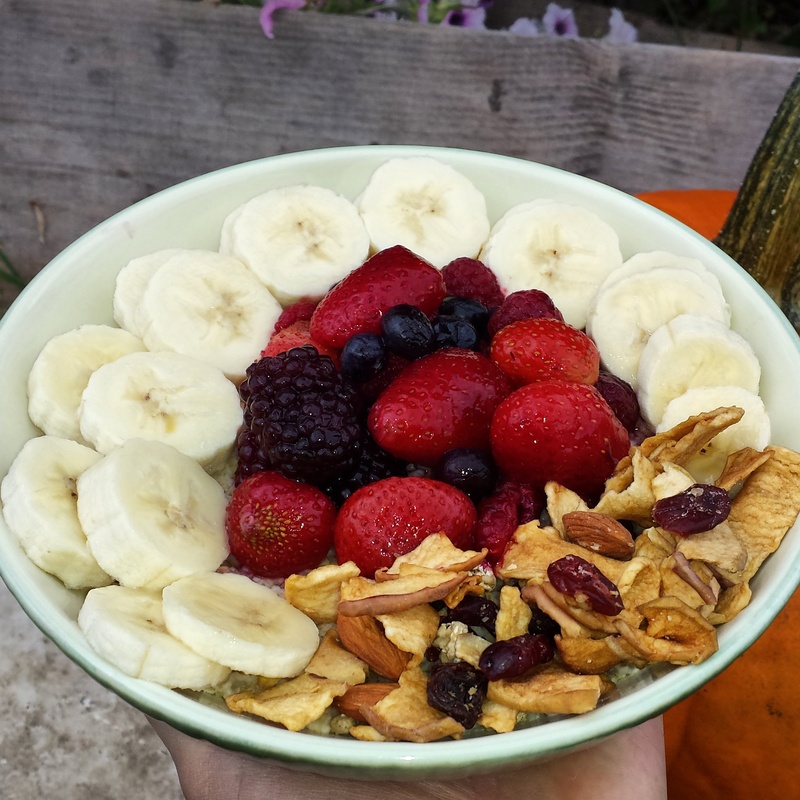 Strawberries, Blueberries, Blackberries, Banana and Granola. 17. 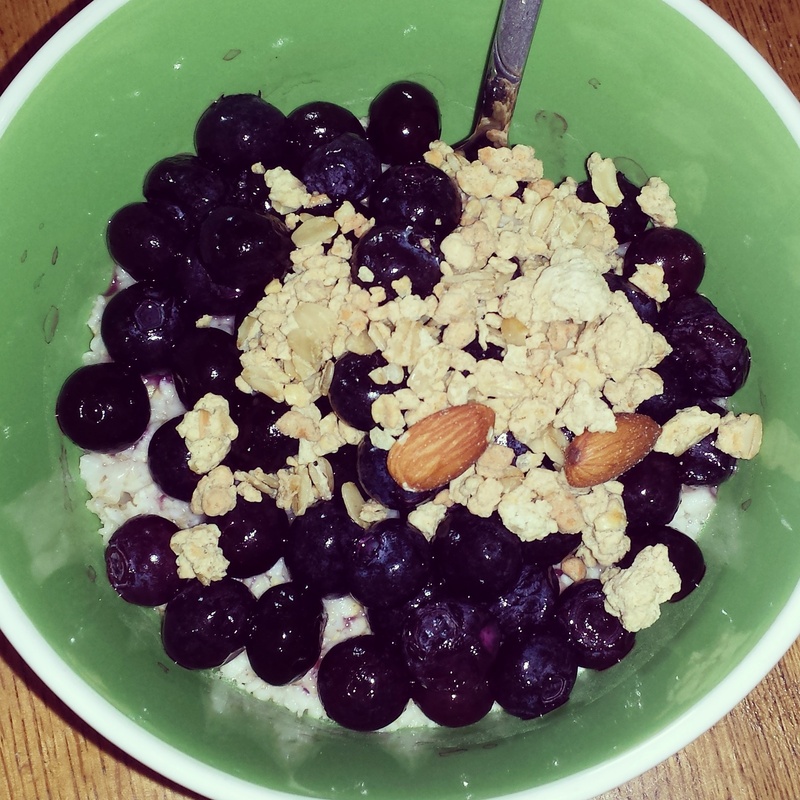 Apple, Granola, Unsweetened Shredded Coconut, Blueberries and Crunchy Peanut Butter. 18. 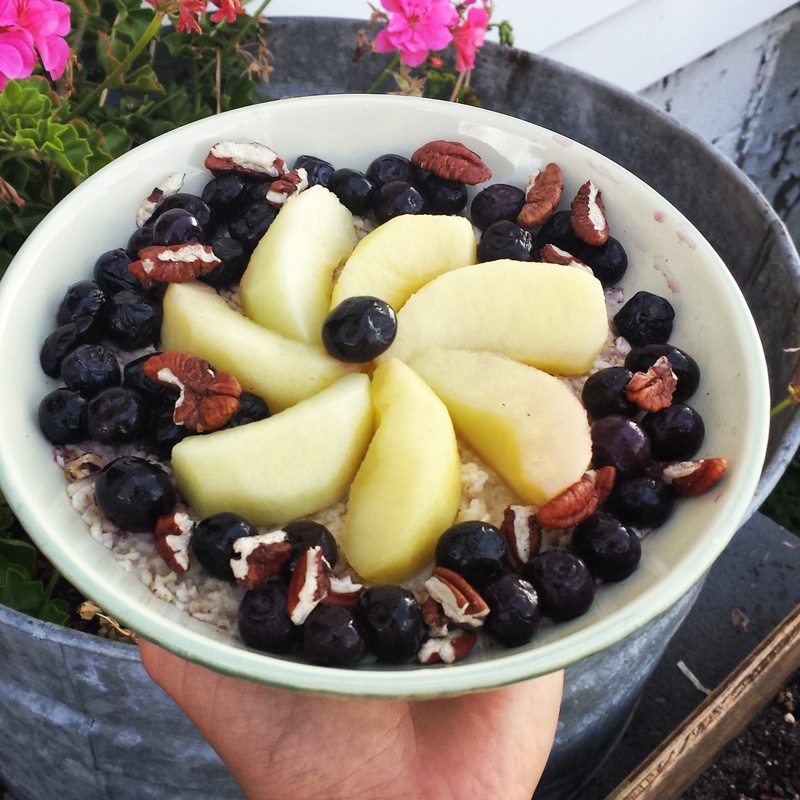 Pecans, Blueberries and Apple. 20. 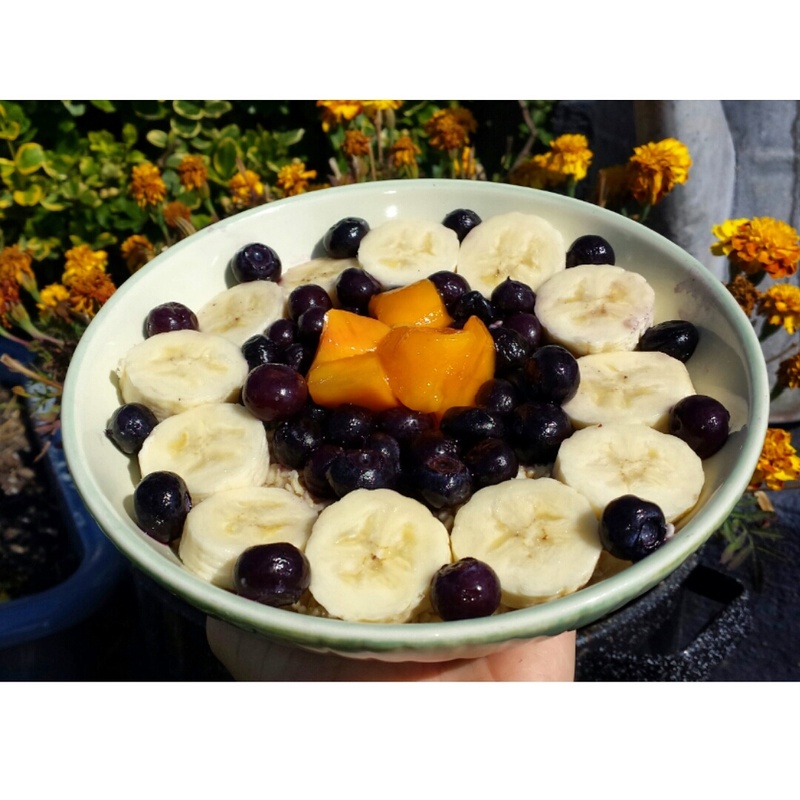 Mango, Blueberries and Banana. 21. 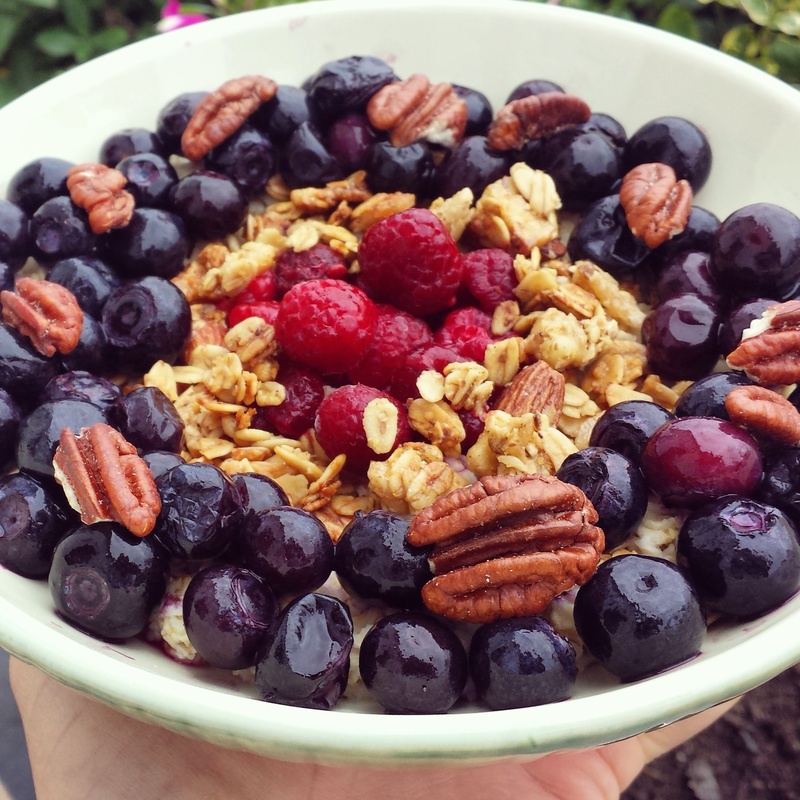 Blueberries, Pecans, Raspberries and Granola. 22. 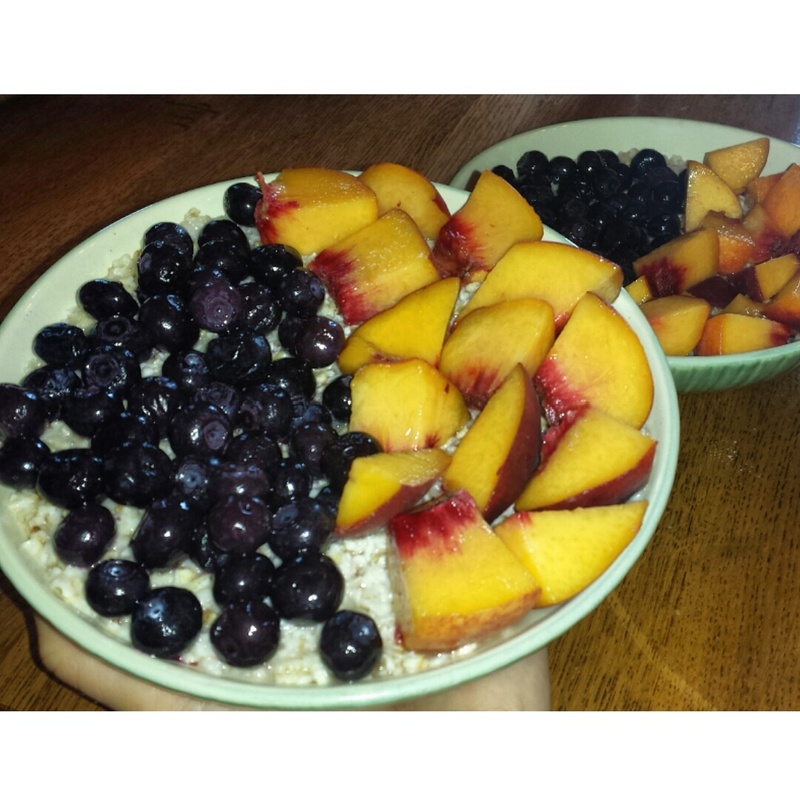 Peaches, Granola and Blueberries. 23. 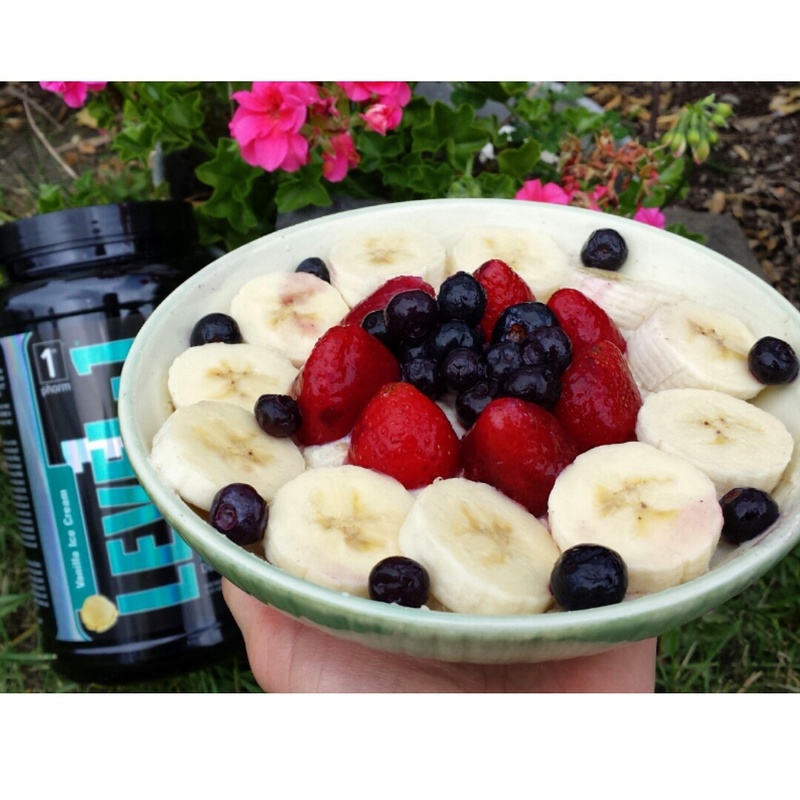 Blueberries, Raspberries, Unsweetened Shredded Coconut and Mango. 24. 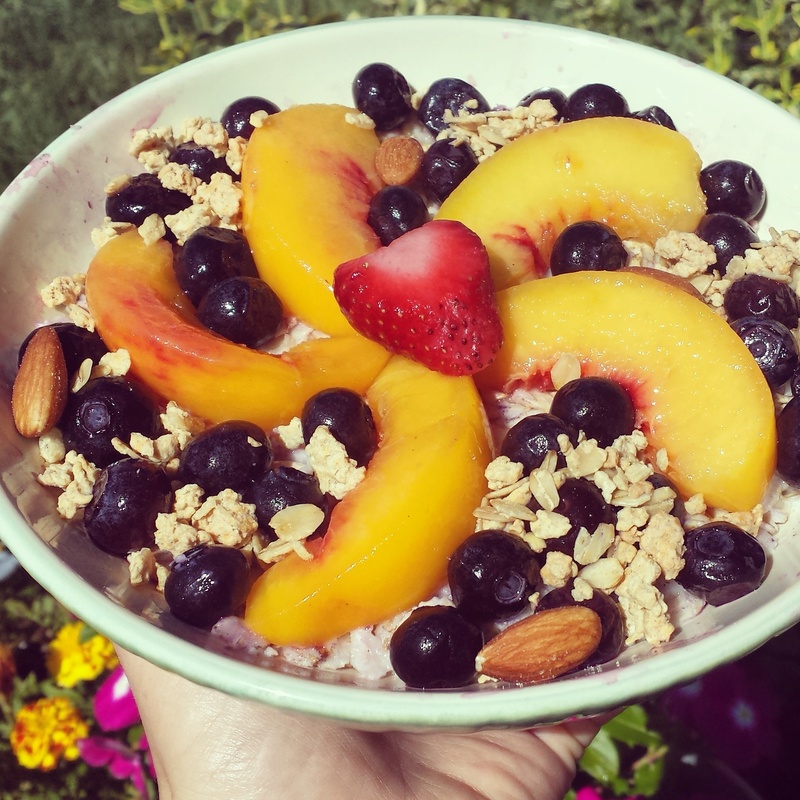 Peaches, Blueberries, Granola and Almonds. 26. 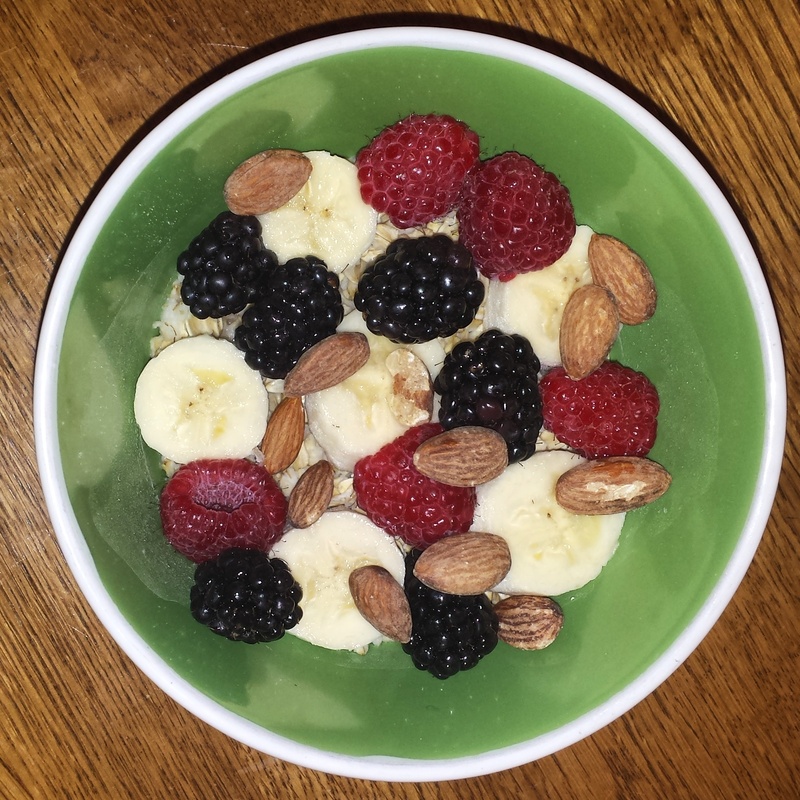 Raspberries, Raisins, Banana and Blueberries. 27. 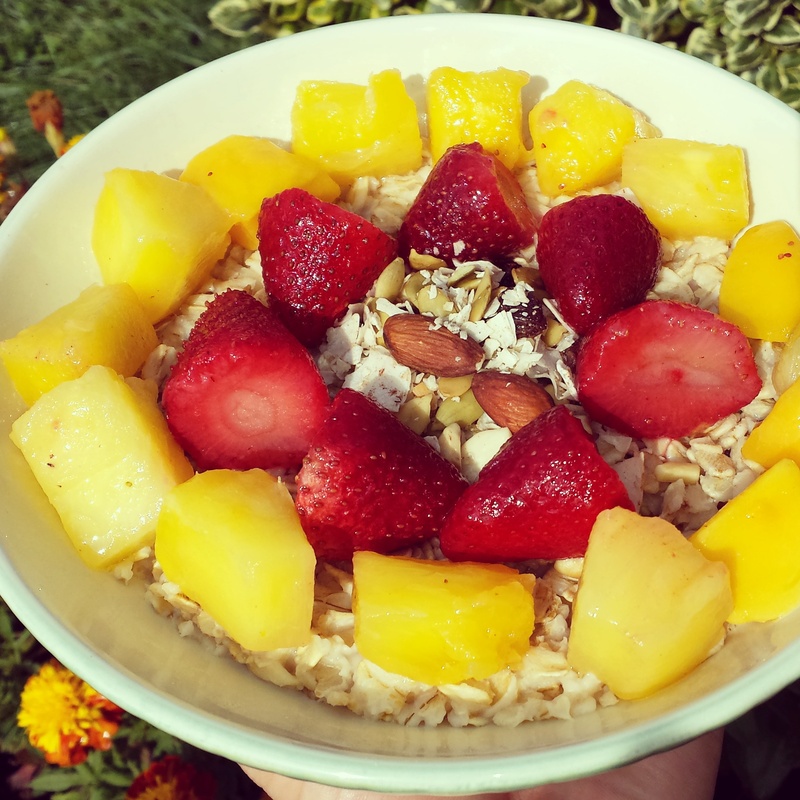 Pineapple, Strawberries and Granola. 28. 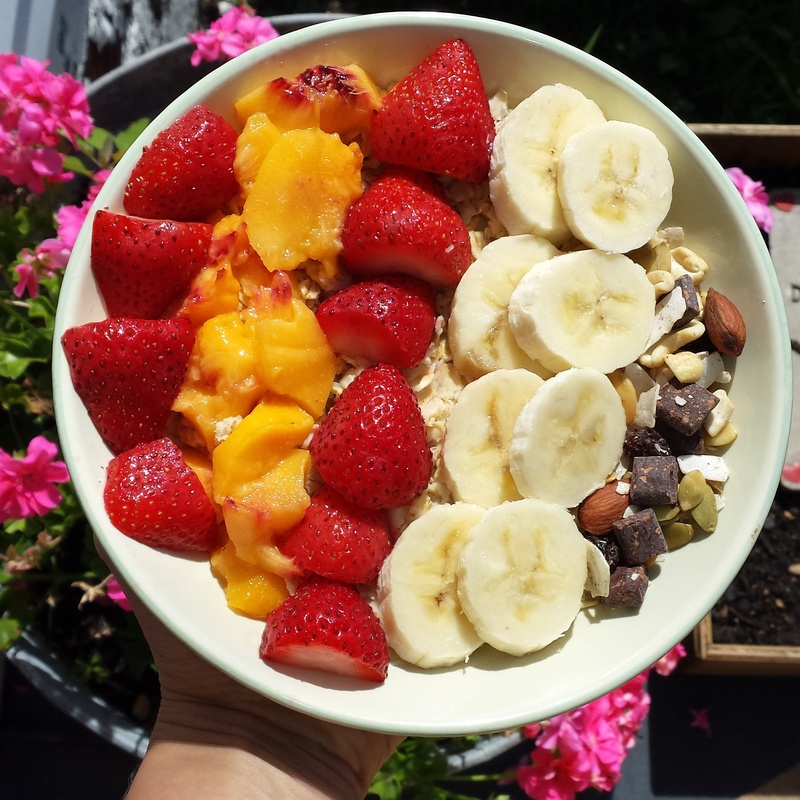 Strawberries, Peaches, Banana and Granola. 29. 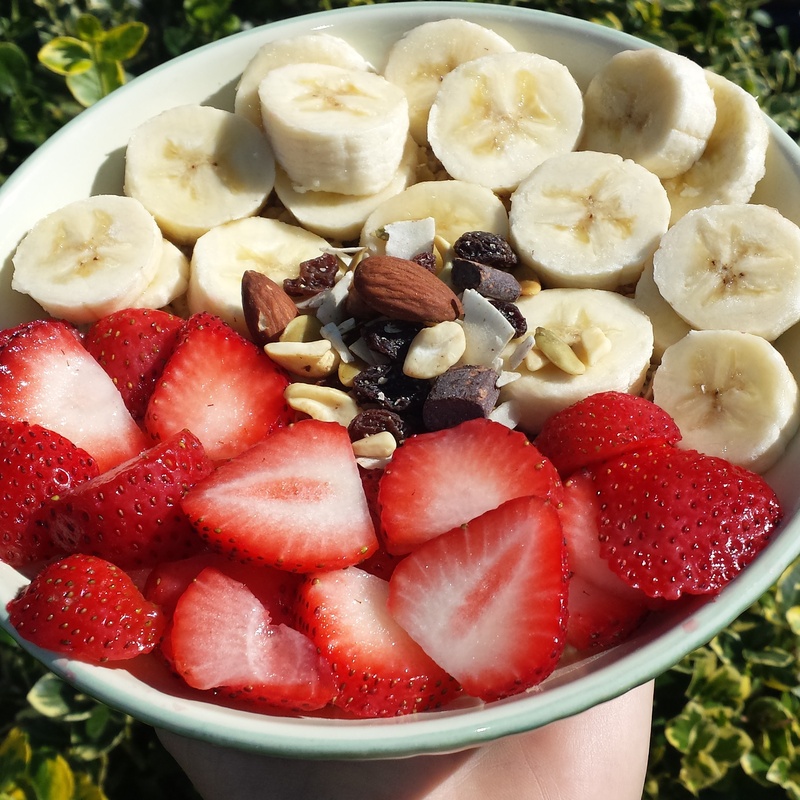 Banana, Granola and Strawberries. 30. 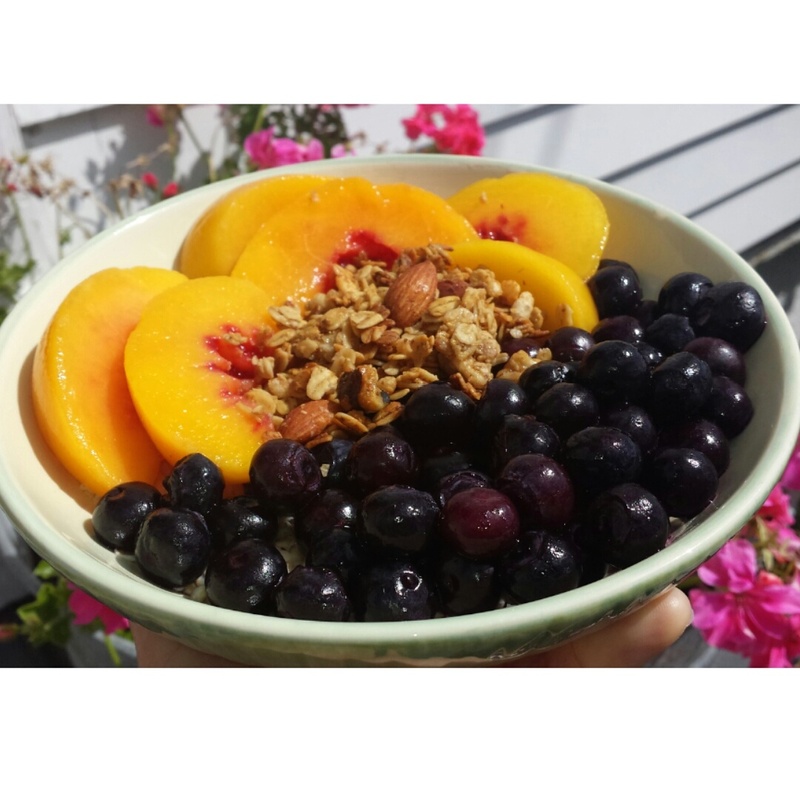 Peaches, Blueberries, Strawberries, and Granola. 1. First of all don’t be intimidated by the photos. 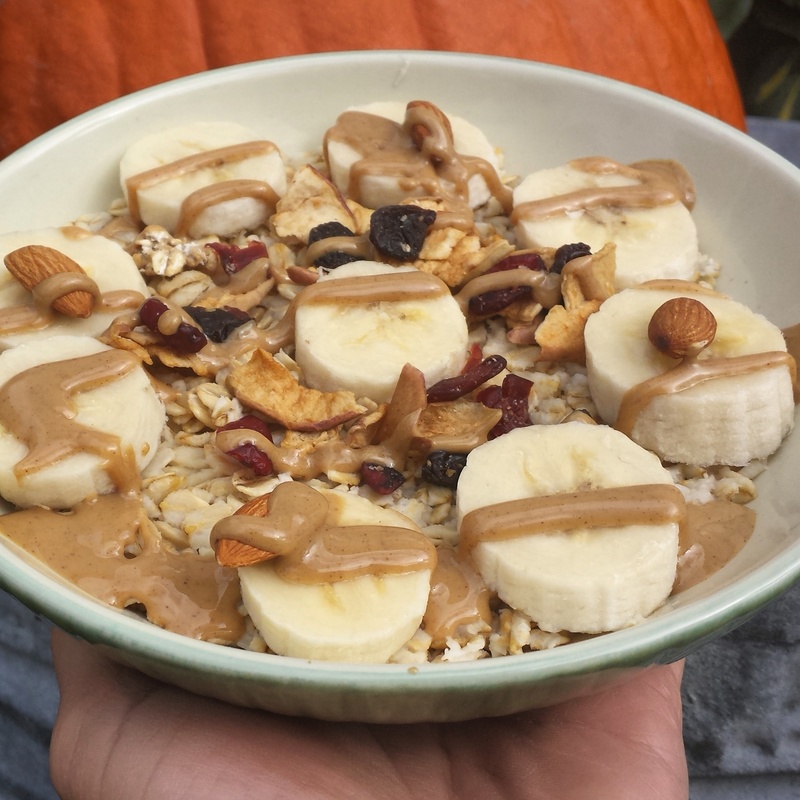 I don’t always make my oatmeal look this complicated, I only try to make it look pretty when I need pictures to show you all! Usually I just throw all the ingredients on top of each other! 2. 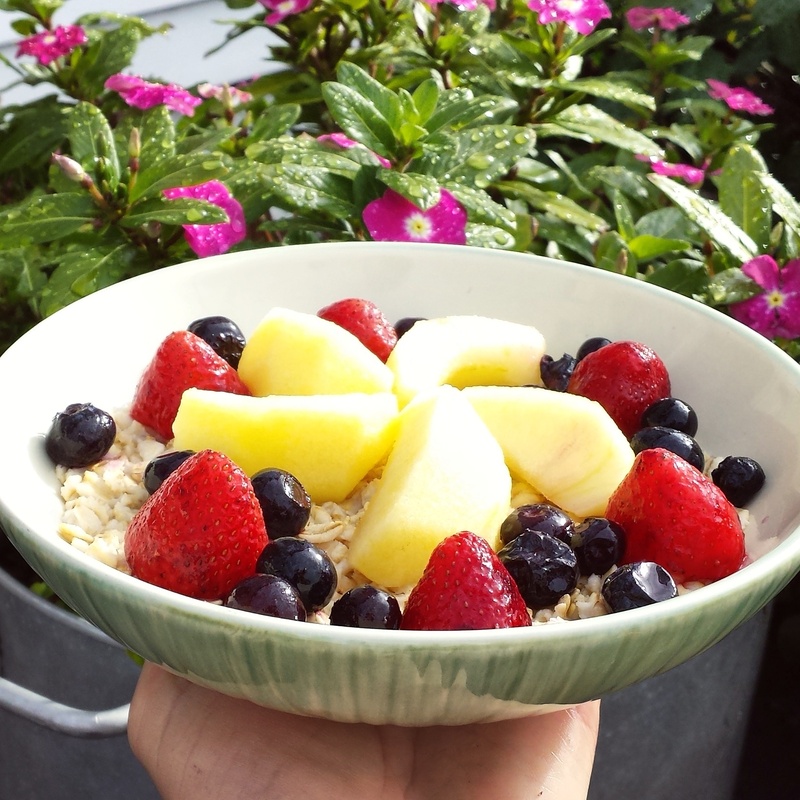 Fresh fruit always is the best option. But a lot of the time I use frozen fruit that’s already sliced for convenience…except for bananas those ones are pretty easy to slice in a hurry! 3. 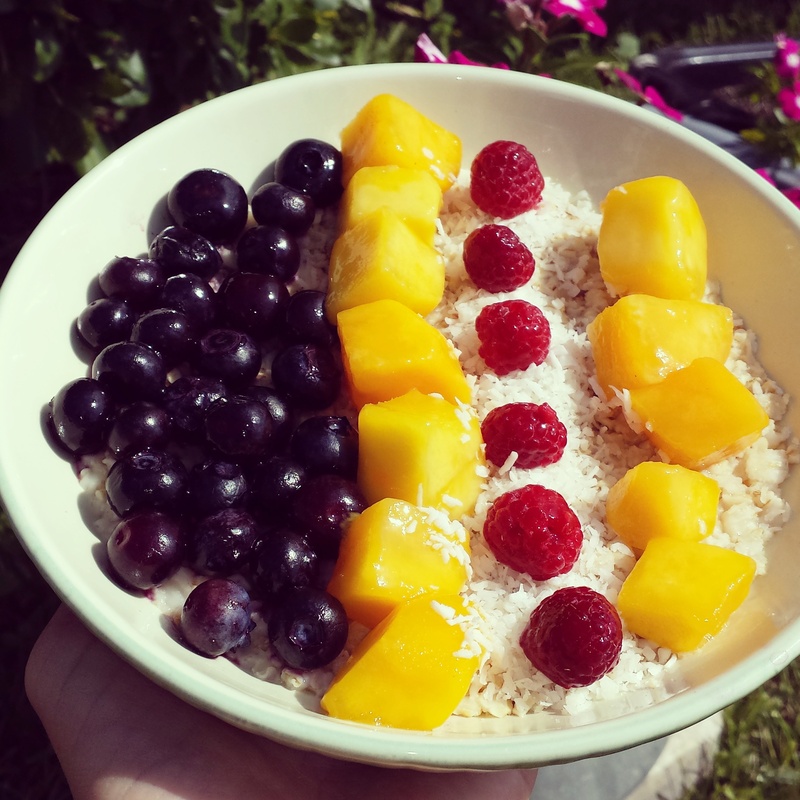 As far as the frozen fruit goes, you can just put it in the microwave with your oats and it should thaw out perfectly after you mix it all together! 4. 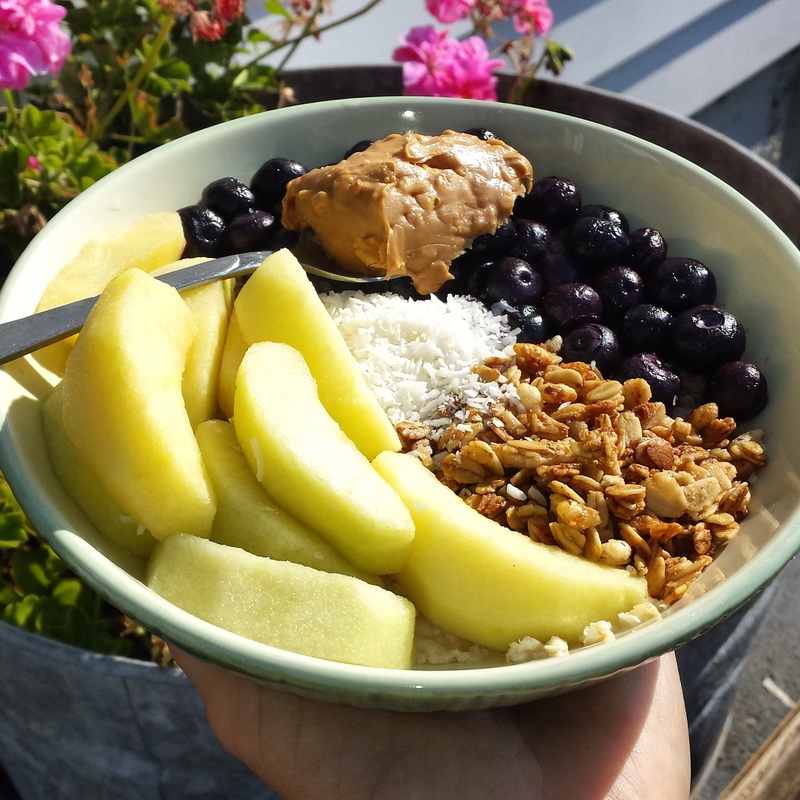 Try having a different variety of granola and nuts in your kitchen so it’s easy to mix the flavors up and keep things interesting.